In skating over thin ice our safety is our speed…and there’s no such thing as too much speed! From aspiring Olympians to those who practice this graceful art for the pure joy of it, Skate Frederick is a great place to figure skate. Skate Frederick offers a complete program for beginners through advanced competitive levels. Skaters participate in United States Figure Skating Association (USFS) tests and competitions. Freestyle sessions and private or group lessons are offered Monday through Saturday. 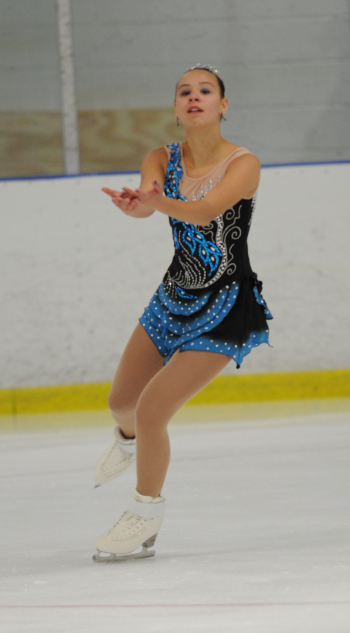 At Skate Frederick the training regimen affords the skater the opportunity to move through the competitive ranks toward district and regional competitions. Skate Frederick is a member of the exclusive “Excellence on Ice” Program – an honor given by the Professional Skaters Association to those rinks whose coaches are all PSA members. This organization rates coaches by their expertise and ability.